Constance Furcolo hasn't been a patient at Mayo Clinic since the 1950s, but that experience changed her health and her life. She's been a Mayo Clinic fan and supporter ever since. Constance Furcolo first came to Mayo Clinic in 1954 after her doctor in Chicago found what was thought to be a cancerous lump. The next words out of that doctor's mouth, according to a recent story in Mayo Clinic Magazine, were "I'm calling Mayo Clinic." It was a phone call that would affect not only Connie's immediate health, but also the rest of her life. At Mayo, the magazine reports, Connie met with the late James Priestley, M.D., Ph.D., whose first order of business was to get rid of what had brought her there. "They removed the lump and told me I'd be fine," Connie says of Dr. Priestly and his surgical team. "You could say time proved them right." Her health restored, Connie built a successful career. "By her mid-20s, she was managing three branches of a New York hearing aid company," Mayo Clinic Magazine reports. "Then she was recruited to open a hearing aid franchise in the Washington, D.C., area, followed by a move to Minneapolis as part owner of a company that designed and manufactured electronic products." Although that success was satisfying and rewarding for Connie, it began to wreak havoc on her health. Less than a year after Connie's initial visit to Rochester, she returned to Mayo Clinic on the verge of an emotional crash. "I was exhausted, working around the clock, never taking a vacation," she says. "My body just gave out. Friends drove me from Minneapolis to Rochester in the middle of the night." The "flock of doctors" she saw at Mayo were clear in their advice. "They said, 'Change your life or you'll have a nervous breakdown,'" Connie tells the magazine. She asked to meet with Dr. Priestly again to see if there was another way. After listening to her story, however, his advice was simply: "Listen to what the doctors say." So she did. And she found a way to achieve the work-life balance she had been prescribed and her career "continued its upward path." 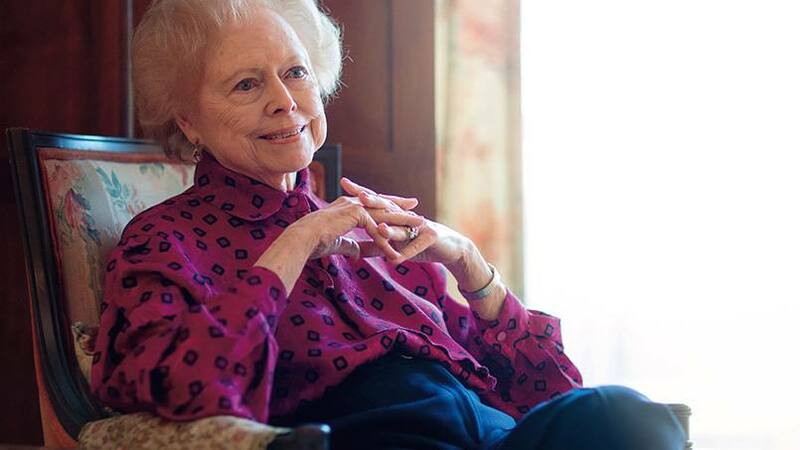 Despite not having been a Mayo patient since that last visit in 1955, Connie tells the magazine she still "enjoys reading about Mayo's initiatives in patient care, research and education" and that Mayo Clinic remains an important part of her busy life. Her passion for Mayo is reflected in her generosity. Connie provides annual support to Mayo Clinic and has named Mayo as a beneficiary of her charitable trust. She says her appreciation for Mayo can be traced back to the care and compassion shown to her during her time as a patient. One example stands out. "When I woke up in my hospital room, Dr. Priestley and a retinue of doctors and nurses were there," she recalls of her surgery. "He said the operation went well, but he was concerned about the dressing. He told the staff that, since I had red hair, it was likely I'd have delicate skin that was more sensitive to pain, so they should use a surgical tape that wouldn't hurt," she says. "It meant so much to me that the people at Mayo Clinic would go to that level of thoughtfulness. It makes me want to help Mayo so they can provide that kind of care to others." You can read the rest of Connie's Mayo Clinic story here. And don't forget to leave a comment below before using the handy social media tools atop this page to share this story with others. Learn more about donating to Mayo Clinic.